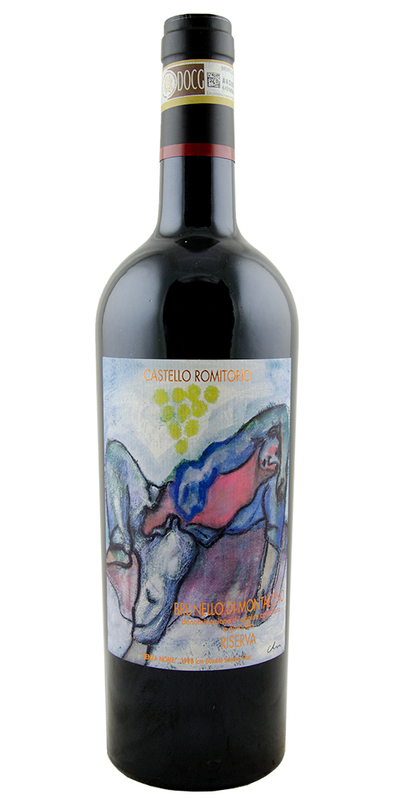 Castello del Romitorio turns out bold Brunello year in and year out. year. Their tiny hilltop winery is located at one of the highest elevations in Montalcino. This older bottling is showing well today and will continue to improve with time in the cellar. Castello Romitorio in Montalcino has been many things to many people throughout history, including a monastery, a prison and a shelter for shepherds. The foundations of the castle itself can be traced to the Roman period with evidence of wine production even then. The estate was reborn in the 1980s when Sandro Chia acquired the property, with an eye toward restoring Romitorio's wine producing roots. This gorgeous Sangiovese as an excellent representation of Chia's dedication. 2006 was a benchmark vintage for Brunello, particularly the Northern part of the region where Romitorio is located. This sturdy, yet supple example should be decanted for best enjoyment. Doing so will display all of the glorious cherry, leathery, medicinal wonders of Sangiovese Grosso. Romitorio rocks! Notify me when Brunello di Montalcino, Romitorio - 2006 is back in stock.